The school included hands-on activities on these and more topics, in our installations, organized by our researchers. Also, networking activities, flash talks, poster session and awards for the best flash talks and posters. All in all, a very exciting, fruitful and inspiring week! The best flash talks awards were for Martí Gibert (ICMAB), for his talk on "Enhancing Light Harvesting in Organic Solar Cells by 2D Photonic Structures" and Max Sieger (ICMAB) for his talk on "Ultrafast growth of superconducting layers". The poster prize was awarded to Laura Albero (Chalmers University of Technology, Gothenburg, Sweden) "Nano-plasmonic battery sensing and monitoring" and Héctor Torres (ICN2) "Fast Responsive Photochromic Nanomaterials for Energy Saving Applications". The prize was a diploma, a powerbank (external battery) and a Moleskine notebook. The general evaluation of the summer school is very positive, as you can see in the following plots, about the general evaluation of the lectures, of the hands-on activities, and of the science dating experience. We also asked if they would repeat the experience, and 96 % were ready for it! 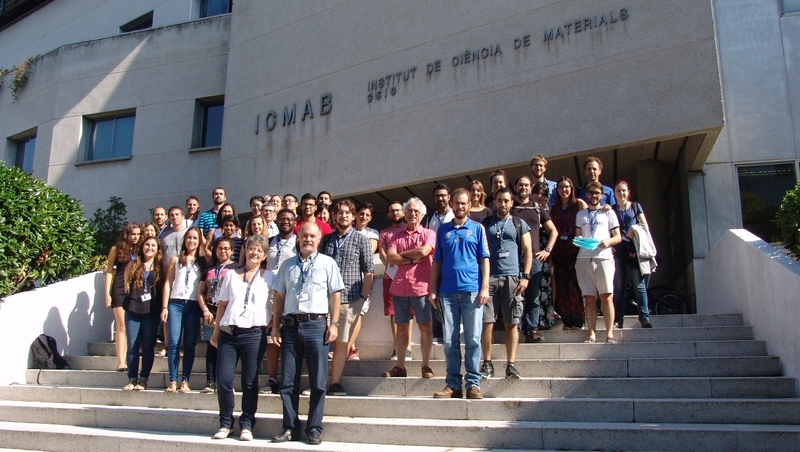 49 % of students that participated in the course were from the ICMAB, and the other half (51 %) was divided in many different institutions, with a high participation of fellows from the ICN2 and IREC. 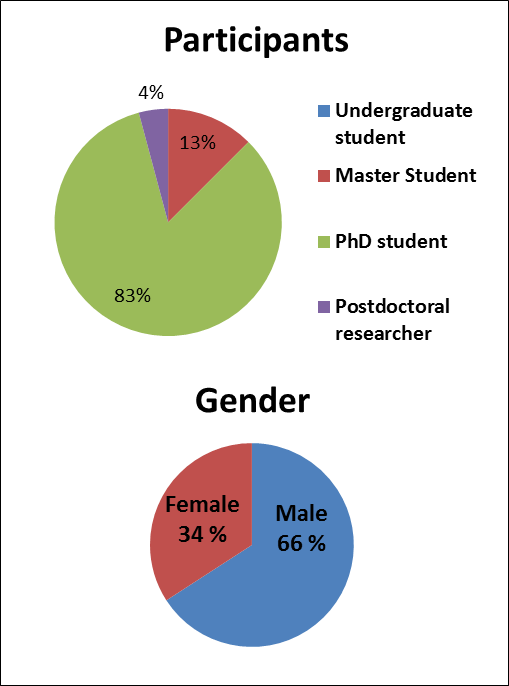 Most of the participants (83 %) were PhD students, although there were some master students (13 %) and postdoc fellows (4 %). 66 % of the participants were male and 34 % female. Thank you to all the organizers, speakers, and participants, for making this summer school, an enjoyable experience! A big thank to the Severo Ochoa programme, who funded the summer school and granted scholarships to the participants.